All incoming freshmen and first-year transfer students are required to successfully pass and complete both Part 1 and Part 2 of AlcoholEDU and Sexual Assault Prevention. What is AlcoholEDU and Sexual Assault Prevention? AlcoholEdu and Sexual Assault Prevention are online prevention courses. AlcoholEDU highlights the UNA Student Code of Conduct, debunks myths about alcohol, and explains alcohol's effect on relationships and consent. 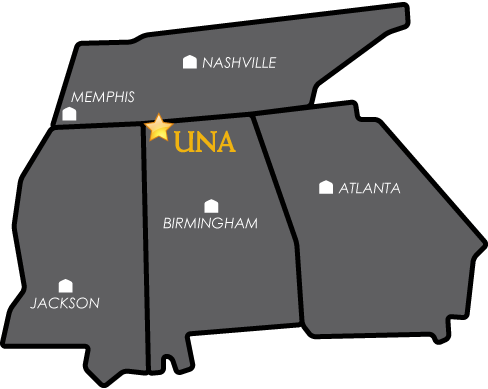 Sexual Assault Prevention educates students on UNA's policies and procedures, explains how to identify at-risk behavior that could lead to sexual assault and relationship violence, and describes how individuals can be active bystanders. How do I access AlcoholEDU and Sexual Assault Prevention? Are you an incoming freshman or first-year transfer student? Yes! Both of these courses are mandatory for all incoming freshmen and first-year transfer students. Failure to successfully pass and complete Part 1 and Part 2 of the mandatory courses may result in additional educational information and/or a meeting with the Office of Student Conduct or Title IX Office. Are you a newly admitted graduate student? No. While these courses are not mandatory for graduate students, we do encourage you to utilize the course as a way to learn more about your rights and resources as UNA students. Why AlcoholEDU and Sexual Assault Prevention?